It’s what every poet eventually has to do if they’re putting together a manuscript. Spread the poems on the floor. Like the batter of a very rich cake, pour it in the pan, spread it evenly. Let it find its shape and settle. But the recipe is not as clear with poems (and you don’t get a delicious cake as a reward for your hard work). Before today, I was very sure about the order of this manuscript. I had about 50 pages or so that I thought were done, and maybe 10 new pages I wanted to fit in somewhere. 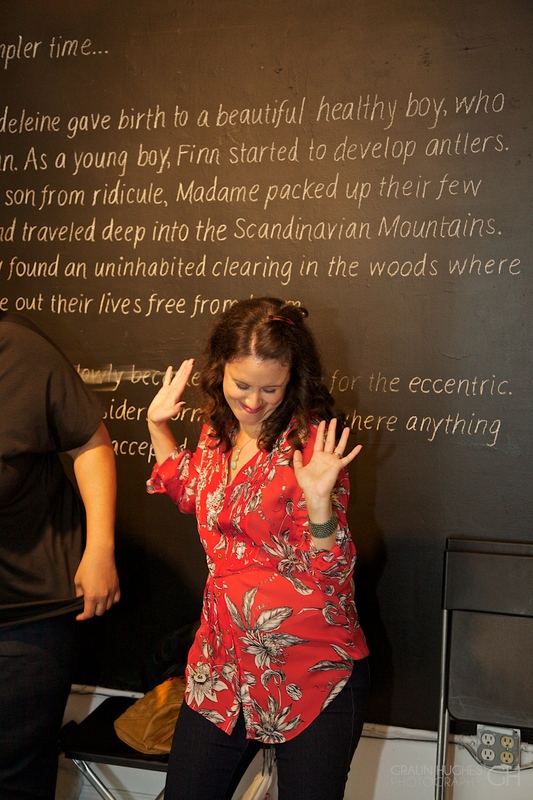 Once the poems were on the floor, a lot of moving around ensued. 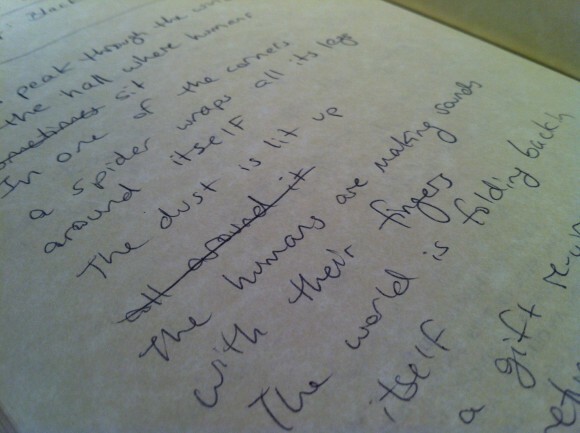 I circled the area like it was a crime scene, picking up poems, examining them, jotting down notes, putting them down. Before today, I knew what the first poem of the manuscript would be. Now I have some contenders. The poems gathered together in clusters like continents floating on the ocean. Now I’m afraid to move them, lest the plates start shifting. I tiptoe around the room. The process of ordering a manuscript provides some answers, but raises new questions. 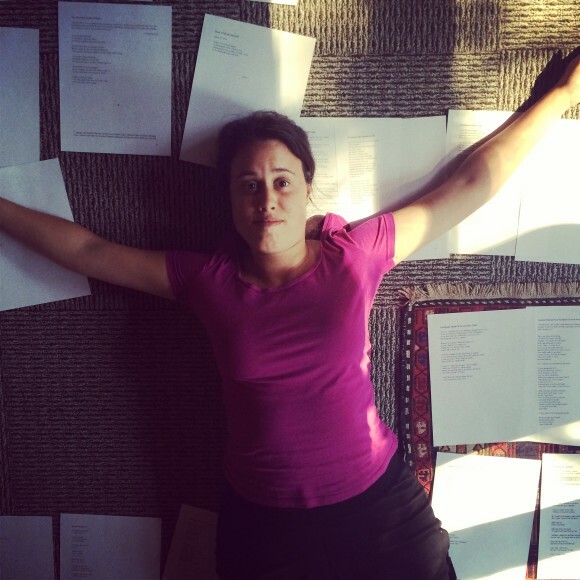 What is this poem doing here, among these other poems? What is this poem doing in this manuscript at all? Does this manuscript hold together? Are the poems too different in style, yet too similar in theme? Are these questions mere neurotic distractions from a much more intuitive process? If I gave the manuscript to a group of monkeys would any of them order it the same way? The poems must stand on their own. Seeing them in a group helps me detect the finished ones from the unfinished or disposable ones. 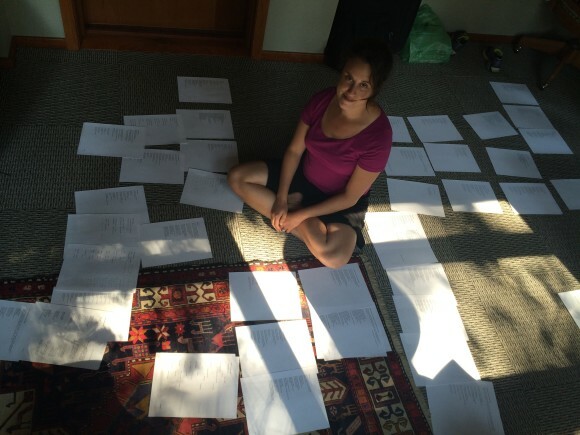 I see how poems fit together, but it’s tempting to view the manuscript as a jigsaw puzzle. You are putting together a puzzle whose final picture you can’t see, but which hopefully emerges. Not all the pieces are even there, you realize. There is no right way to order a manuscript. You do what works. I remind myself that poets didn’t always put together books of 64 or whatever pages. That there is some artifice to this whole process. So it seems like a formula I can work with, almost as arbitrary as a writing prompt. Nevertheless, I do think these poems share a sweeping something that means they belong together in a book. I have to trust that sense as I place the poems side by side, one at a time. I’m on the other side of the Ides of March, post-Purim (the holiday of reversals), and inhabiting another side of myself. 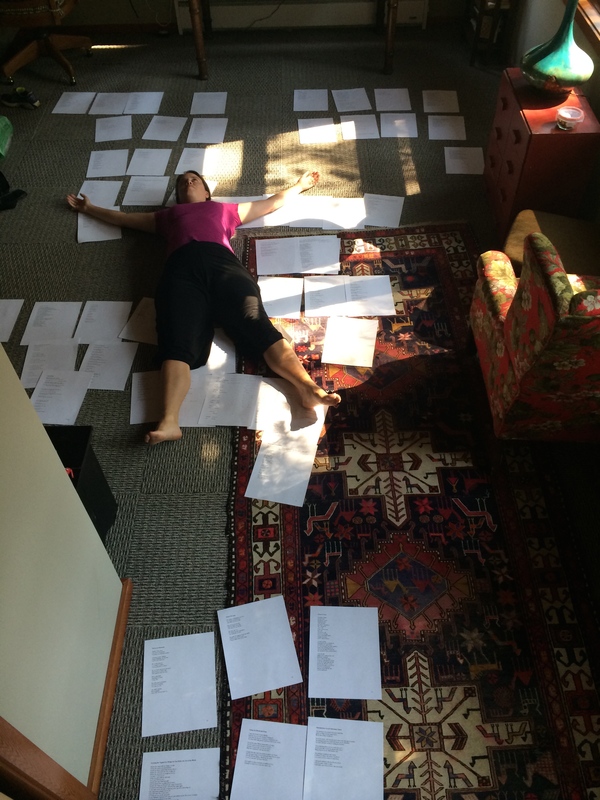 I am two weeks into my first writing residency, with two weeks to go. The first week here at the Vermont Studio Center was long and deep. I started writing immediately on the first day (even at the airport on the way from Philadelphia), and kept up a good pace for the first few days. The experience has been a big adjustment, an inversion of my everyday life at home, where there’s always something else to do other than focus on my poetry. Here poetry comes first, and that’s thrilling and frightening. I enter my writing studio after breakfast and I expect to just walk straight into the deepest parts of myself. Eileen Myles was a visiting writer here the first week and talked about the writing process as similar to when a dog circles and circles trying to find the perfect position in which to get comfortable. That’s how I feel when I walk into the studio. I pace, move books around, fill my water bottle. Finally I sit down in the velvet green armchair by the window overlooking the frozen lake. I stare out the window and start to feel my mind move. Sometimes I fall asleep. Sometimes I pick up a book and read and a sentence injects itself in me and I grab my journal and start a new poem. I get up for lunch. I return. I go to yoga or to chop vegetables for my kitchen duty. I eat dinner, return to the studio at night. I have moments where I’m worried I haven’t written enough each day––that old capitalist impulse toward mass production. But artistic production is much wider and deeper; poems don’t take shape on an assembly line. They inhabit the moments in between the actual writing of poems. It’s true that you have to show up for the muse. You have to treat the process as primary, as the first thing you’re responsible for. So that even when you’re not writing, the poems brew. You learn to be gentle with them. You learn to be okay with just sitting there for a while. The longer you do it the more normal it feels, and like animals, the poems begin to feel more comfortable emerging from the underground. It’s kind of painful at first to transition to this way of working––you’re afraid you won’t make anything good, that you’re wasting time. You want to go home, be with your partner, go to a party, watch a movie. But the poems are spirit animals walking alongside you, sometimes going off on their own, but always returning. You have to feed them. You have to make it your full-time job. 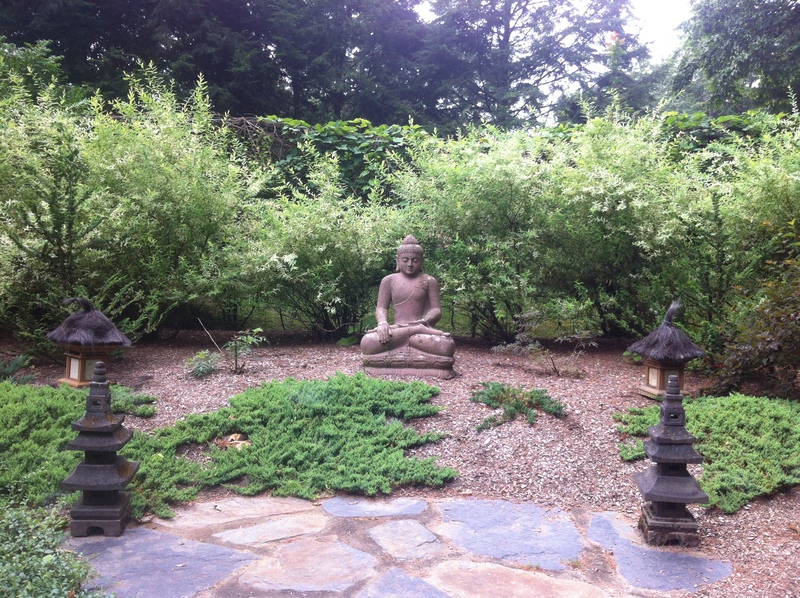 I recently visited a dear poet friend who I hadn’t seen in a long time in Brooklyn. We drank tea, caught up, and then she showed me a new tarot deck. 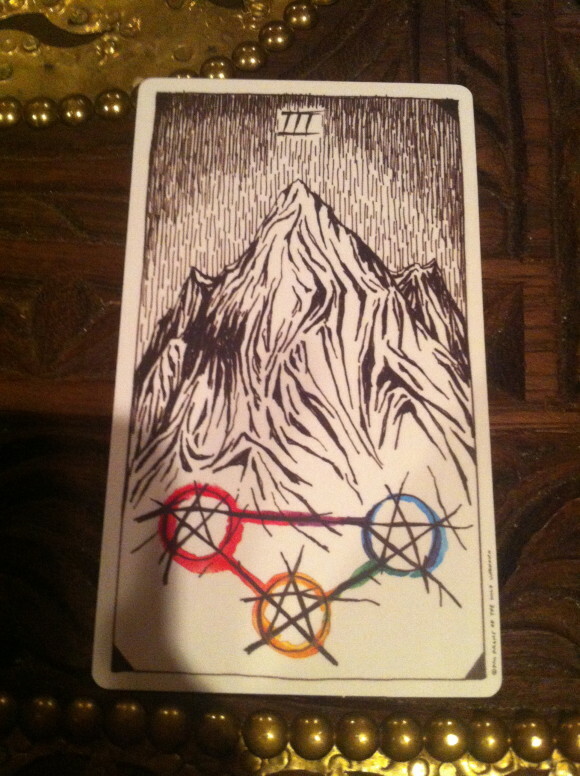 I’d never done a tarot reading before, and didn’t much believe in it, but I decided to give it a try. I shuffled the deck and asked my question: What do I need to move forward with my book project? I pulled out a card: The Three of Pentacles. The task ahead is a monumentous one. Usually related to your job or career, the three of pentacles suggests you must focus all of your efforts. Discipline, strategy, and hard work are needed more than ever. If you become weary or overwhelmed, rely on those around you. 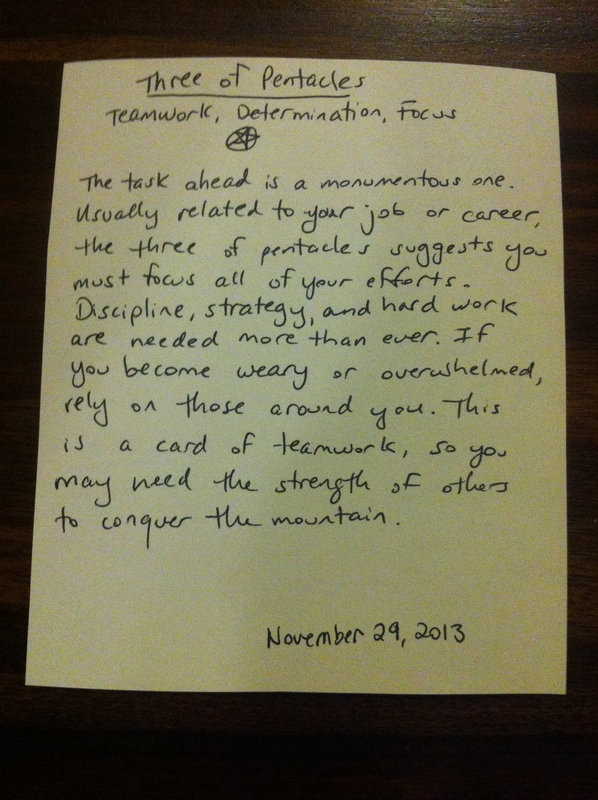 This is a card of teamwork, so you may need the strength of others to conquer the mountain. This reading occurred just days after I’d completed a month-long fundraising campaign to support my forthcoming artist residency at the Vermont Studio Center in March 2014. 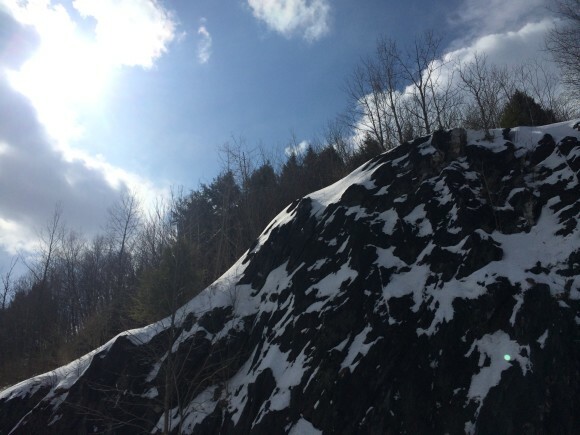 While building support for the campaign I had compared the challenge to climbing a mountain. And now that mountain has been climbed: I raised the money and reached the goal, with the support of so many friends. Teamwork was essential. Even more than the financial support, the fact that people believe in the project gives me so much strength. But the next mountain, of course, is the higher and more treacherous one: actually writing the book. This hybrid word resonates so deeply with where I am right now in my writing process. I am creating a physical thing, a book of poems, that will represent a moment in the history of our planet and where we are going in the future. It’s a grand and ambitious project, to be sure, but why else write if you’re not willing to take that risk? The importance of focus mentioned on the card also spoke to where I’m at right now. 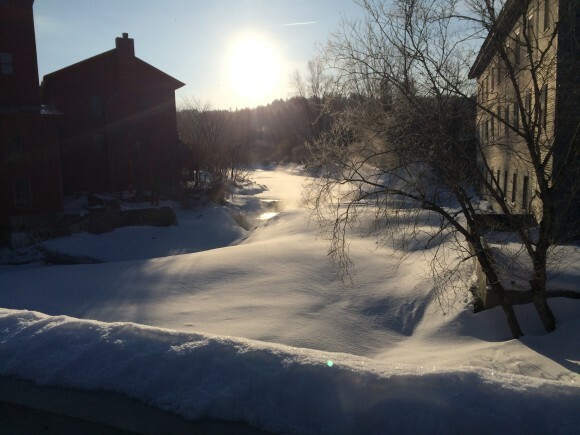 The ability to focus on the project with uninterrupted time and space is what my artist residencies next year (in March and September) will be for. But my challenge right now is to build in my own mini-residencies within each busy work week to make progress on this in my regular everyday life. So right now, I’m instituting “Writing Sundays,” my day of the week to devote to this project. Some part of me, for whatever reason, has always rebelled against the disciplines I’d set out for myself, the idea of having a regular writing routine, etc… but discipline is necessary. Discipline is a form of trust. That I can show up to my work and trust that in that set time and space whatever is in me will find its way out. Giving myself a full day means I don’t have to be bound by a particular time of day, but that I still need to produce something that day. And the nice thing about this project is that I’m not waiting for inspiration. I’ve been collecting books and articles along the way that are there to spark my imagination. It seems there are ways to make the creative process as easy as possible for yourself if you have the right set up. Back in college I bought a pair of black velvet pants and a black velvet cardigan as a “writing outfit.” The luxuriousness of it felt appropriate to the writing process. I’d forgotten about it, but found it in the closet today. I decided it was time to bring that back and make some sort of ritual out of my writing process. So I’m putting it out there to hold myself accountable. Today is Sunday. I’m ensconced in velvet. I’m going to write. In my last post I talked about taking myself on as a client, trying to schedule my own writing time while working as a busy freelance editor––which is easier said than done. In the mean time, I had been wanting to visit The Head and the Hand Press, a local small press that also functions as a writing space. I am already a member of the awesome co-working space Indy Hall, but the buzzing atmosphere there tends to inspire me to hustle and bustle with my freelancing business and not to sit quietly and write. I liked the idea that I could go to this other place where I could spend the day only working on my own writing. Last Wednesday I found myself with a rare day off. I wasn’t expecting a new project to arrive until Thursday and I just completed another one. No more excuses, I told myself: make it your writing day. So here’s my account of how it went down. 11:00am: Leave the house. Yes, my day sometimes starts this late. Though I recently challenged myself to start waking up much earlier to get to the gym, last week I was on my waking-up-late schedule. 11:00–11:45am: Flier for the Red Sofa. Since I’d just had postcards printed for my poetry workshop, I went around my neighborhood in West Philly distributing them to advertise. Writing day has yet to actually begin. 11:45am–12:00pm: Drive to The Head and the Hand, which is located in Fishtown. This involves getting on the I-95 North, which as a native New Yorker I find amazing and bizarre: I can take the highway to get from one neighborhood to another in Philly. 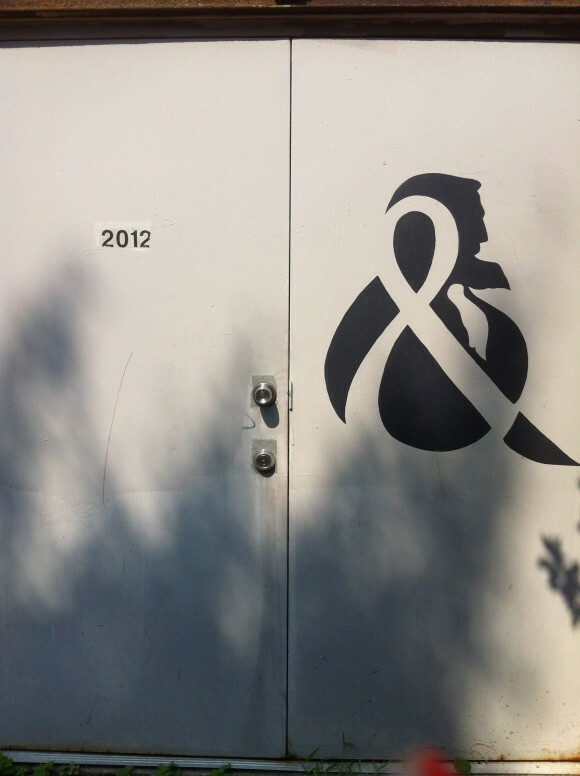 12:00pm: Arrive at The Head and the Hand. Off a raggedy looking street, I see the icon on the door. 12:05pm: I enter up a staircase. The place is very quiet. This is alarming at first, but then I remember that this is a good thing. This is what I came here for. 12:10pm: I am greeted by Claire, the creative manager. I immediately get into a conversation with her and ask for a tour of the place. There’s no way I’m about to start writing yet. 12:30pm: After the tour and more chatting, I decide that I have procrastinated enough. 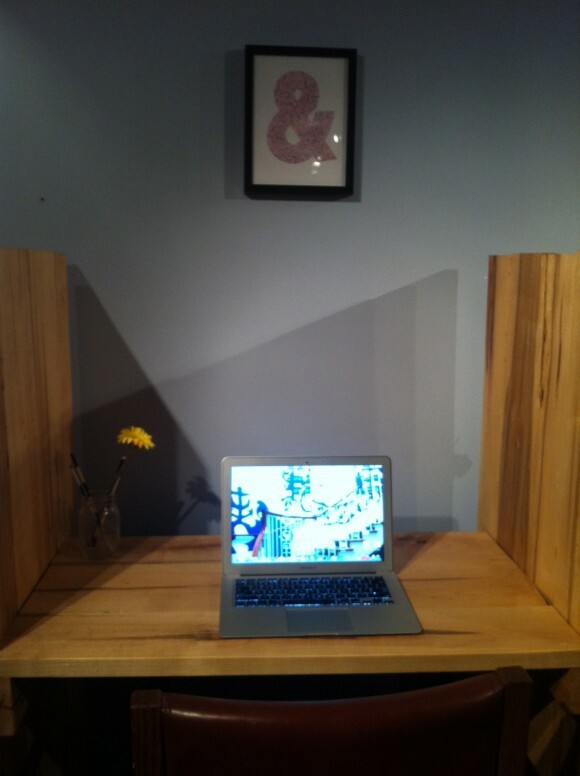 I set up my laptop at one of the adorable, hand-made writing desks. I take a moment to let it all sink in, just looking at my writing space: the light, clean wood, the little yellow flower in a jar. I smile to myself and inhale deeply. 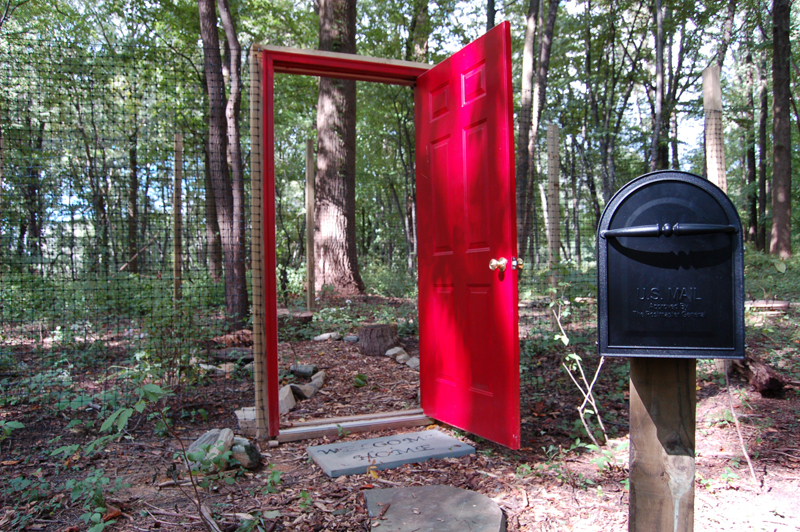 This is what having time and space to write feels like. 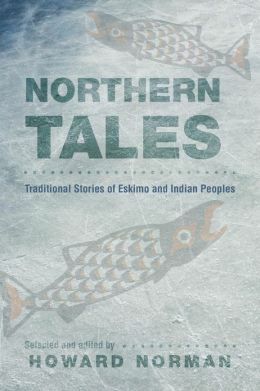 12:40pm: I take out the book I brought with me for poetry inspiration: Northern Tales: Traditional Stories of Eskimo and Indian Peoples. I have been reading books of indigenous mythology as a way to help me write poems that address climate change (more on that in future posts). 2:00pm: I have read and read and read story after story just waiting for a spark, and it finally comes. I land on a striking image and decide it’s time to follow its lead. I set the timer for 30 minutes and begin to write. 2:30pm: I have written a poem. 2:35pm: And it’s damn good. 2:40pm: I keep writing past the timer. 2:45pm: I finish up my hand-written draft and type it into a Word doc. 2:50pm: Bask in the glow of a really solid first draft. 2:55pm: Revise that draft a bit. 3:00pm: Notice someone else has entered the room, a fellow writer and editor who is also a member of Indy Hall. 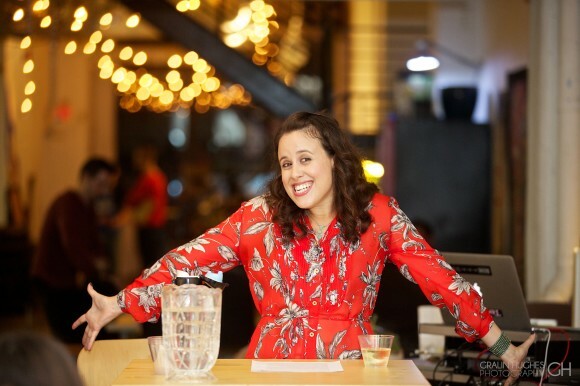 4:00pm: Get “lunch” with said writer/editor at Soup Kitchen. Yum. We chat about our former publishing jobs in New York, about what we’re writing and what we’ve been editing. 5:00pm: Head back to Head and the Hand for more reading. No more writing happens today, but that one poem took a lot out of me. This is hard for people who don’t write poems to understand, I think. 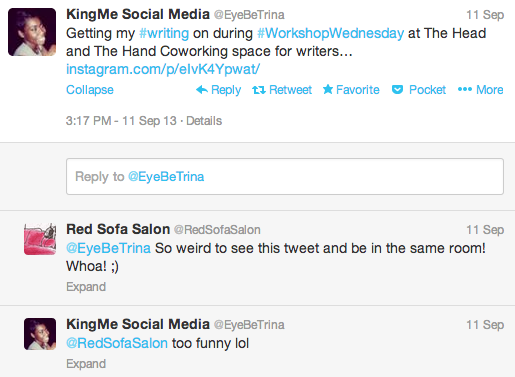 6:00pm: I see a tweet from Twitter-and-now-real-life friend Trina, saying that she is at Head and the Hand. I turn around and she’s right behind me at the desk across the room. We giggle and take a picture together that later surfaces on Instagram. I marvel at the Internet. 6:10pm: Now the space is starting to fill up with writers. I feel cool cause I’ve been writing ALL DAY. But of course by writing I mean mostly reading all day, with 45 minutes of actual writing. 8:00pm: Everyone gathers for Workshop Wednesday. We snack on Oreo cookies and red wine. We chat about the latest Woody Allen film, which is awesome by the way. We chat about the whole history of Woody Allen films. I somehow start preaching about my love for creative non-fiction. Head and the Hand editor Linda Gallant passionately explains why the narrative arc of Breaking Bad is brilliant. I tell myself I need to get back into that show, even though it scares me. I talk about how Maria Popova is going to speak at Kelly Writers House next week and that she has the best website ever. Claire agrees. We gush. 10:45pm: I get in the car to go home. The feeling that comes after having written––not unlike the feeling after exercise––settles into my brain, a sweet and quiet buzz. I have spent more time reading and talking today than writing. But that’s all a part of the writing process. And I wrote. A damn good poem, I’d say. I recently began working with an author who is in the process of writing what I can already tell will be an incredible book of non-fiction. Projects like this one are my dream jobs. As an editor, I often get a mix of work from many sources, running the gamut from computer science textbooks to academic books of philosophy and religion. Much of this work comes from editorial firms and publishers. I also work with independent authors, some of whom are writing dissertations, memoirs, or poetry manuscripts. The most fun and exciting work definitely comes from independent authors, because I get to help them figure out what they are trying to say and how best to say it. I love this process because it gets my own creative juices flowing, and it reminds me of why I love writing. I had an “aha” moment recently while talking to the non-fiction author mentioned above. She said she needed someone to help hold her accountable to her writing goals while also being a supportive cheerleader. I was thrilled to take on this role. I immediately set to work creating an editorial calendar that maps out when each chapter would be due to me, when my comments are due back, etc., etc., until the book is completed. I happen to love creating schedules. I’d done it for a previous job, and I find it so satisfying to plug in tasks and due dates, being able to see a light at the end of a project, while breaking down all the tasks along the way into manageable goals. And yet, I suddenly wondered, why had I never thought to create an editorial schedule for my own writing goals? Quick answer: I am not a fan of discipline when it comes to my own writing. This is interesting, because when it comes to my regular work (freelance editing) I’m obsessed with meeting deadlines and organizing all my projects on a clear timeline. Because my own writing isn’t something I get paid for it’s been easy for me to make excuses not to prioritize it and fold it into my “regular” work schedule. Because I’m that writer. I do wait for the ideal conditions under which to work. 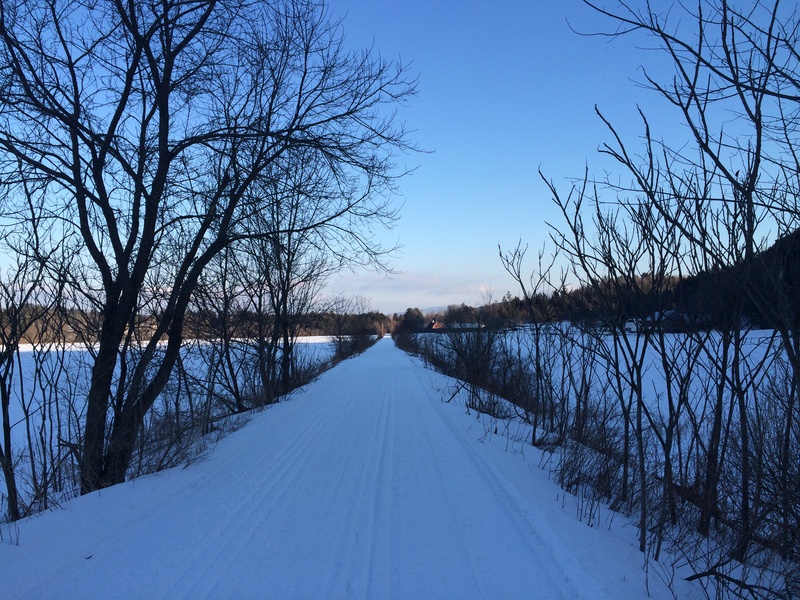 Sometimes those ideal conditions are as simple as the weather. If it’s too humid, forget it. Today was too humid. My husband and I considered going for a run on the Schuykill River, our new Sunday morning routine, and the minute I opened the front door and the wet sock of humidity hit me in the face, I quickly retreated to our air conditioned apartment. The same goes for writing. If I’m physically uncomfortable I won’t write. If I’m unsure where to begin, I won’t write. If I hate everything I’ve written recently, I won’t write. If I can come up with anything else to do––cleaning, cooking, lesson planning, paid work, editing my literary journal, etc.––I’ll do that first. The excuses are endless. But I’m realizing now that perhaps what I’ve needed all along is to treat myself like I would treat any other client. Why not create an editorial calendar for my own writing goals? As I continue working on my new poetry manuscript, I can create manageable goals that involve research, writing, and revising, and actually hold myself accountable to those goals! What a shocker! So, dear reader, what say you? 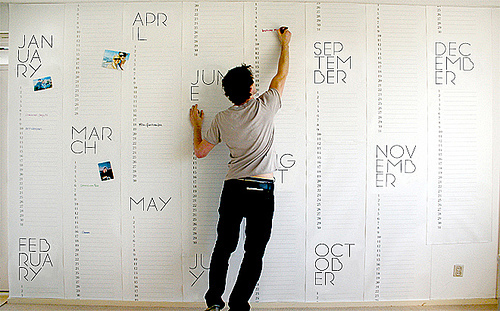 Do you use an editorial calendar/schedule to keep your own writing on track? Have any you’d like to recommend?